Why invest in Global Financial Services? 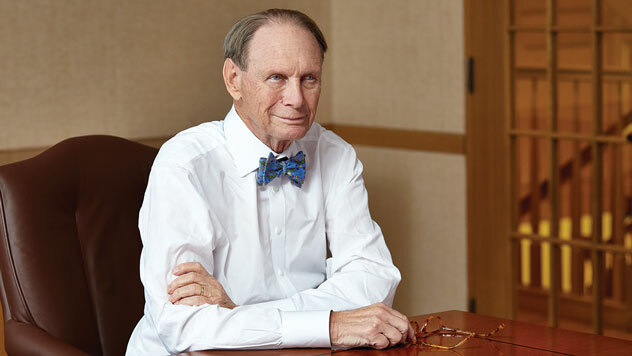 Managed since inception by small-cap pioneer, Chuck Royce. Invest With UsMinimum Investment $2,000. "What we do in the global financial space is distinctly different. We invest primarily in non-leveraged financials–the agents, the asset managers, the insurance brokers, and the service and tech suppliers to this sector." Outpaced Russell 2500 Financial Services for the 15-Year and since inception (12/31/03) periods as of 03/31/19. All performance information reflects past performance, is presented on a total return basis, reflects the reinvestment of distributions, and does not reflect the deduction of taxes that a shareholder would pay on fund distributions or the redemption of fund shares. Past performance is no guarantee of future results. Investment return and principal value of an investment will fluctuate, so that shares may be worth more or less than their original cost when redeemed. Shares redeemed within 30 days of purchase may be subject to a 1% redemption fee, payable to the Fund, which is not reflected in the performance shown above; if it were, performance would be lower. Current month-end performance may be higher or lower than performance quoted and may be obtained at www.roycefunds.com. Gross operating expenses reflect the Fund's gross total annual operating expenses for the Service Class and include management fees, 12b-1 distribution and service fees, other expenses, and acquired fund fees and expenses. Net operating expenses reflect contractual fee waivers and/or expense reimbursements. All expense information is reported as of the Fund’s most current prospectus. Royce & Associates has contractually agreed, without right of termination, to waive fees and/or reimburse expenses to the extent necessary to maintain the Service Class’s net annual operating expenses (excluding brokerage commissions, taxes, interest, litigation expenses, acquired fund fees and expenses, and other expenses not borne in the ordinary course of business) at or below 1.49% through April 30, 2019. Acquired fund fees and expenses reflect the estimated amount of the fees and expenses incurred indirectly by the Fund through its investments in mutual funds, hedge funds, private equity funds, and other investment companies. For 95% of the periods, 10-year average annual total returns were greater than 5%. The Fund averaged a 7.9% return over all 64 10-year monthly rolling return periods. The Fund outperformed the Russell 2000 from the 8/31/18 index peak through current (3/31/19) and in one of the two previous full market cycle periods. Royce defines market cycles as those that have retreated at least 15% from a previous market peak and have rebounded to establish a new peak above the previous one. The Fund has a low volatility within its peer group of 51 Financial Funds based on 5-year rolling standard deviation. The Fund outperformed the Russell 2000 during three out of four downturns of 15% or more from the index’s prior historical high since the Fund’s inception. Outperformed in 13 out of 18 down quarters. Upside Capture Ratio measures a manager's performance in up markets relative to the Fund's benchmark. It is calculated by measuring the Fund's performance in quarters when the benchmark goes up and dividing it by the benchmark's return in those quarters. Downside Capture Ratio measures a manager's performance in down markets relative to the Fund's benchmark. It is calculated by measuring the Fund's performance in quarters when the benchmark goes down and dividing it by the benchmark's return in those quarters. Over the past 10 years, the Fund produced lower volatility than the Russell 2000 Index. Over the past 5 years, the Fund produced lower volatility than the Russell 2000 Index. Over the past 3 years, the Fund produced lower volatility than the Russell 2000 Index. From the Fund's inception, the Fund produced lower volatility than the Russell 2000 Index. The Fund produced lower volatility than the Russell 2000 and 75% of financial objective funds, as shown by its standard deviation. The Fund performed within the top 50% of financial objective funds on a risk-adjusted basis, as shown by its Sharpe ratio. In addition, the Fund produced lower volatility than the Russell 2000 and 75% of financial objective funds, as shown by its standard deviation. Category Median and Best Quartile Breakpoint based on 41 financial objective funds (oldest class only) with at least ten years of history. Category Median and Best Quartile Breakpoint based on 51 financial objective funds (oldest class only) with at least five years of history. Category Median and Best Quartile Breakpoint based on 54 financial objective funds (oldest class only) with at least three years of history. The Morningstar Style Map is the Morningstar Style Box with the center 75% of fund holdings plotted as the Morningstar Ownership Zone. The Morningstar Style Box is designed to reveal a fund's investment strategy. 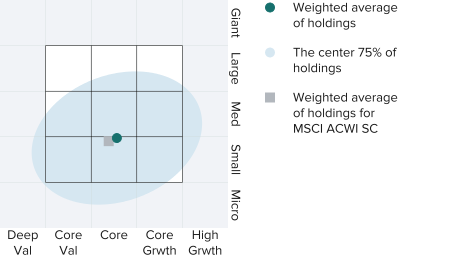 The Morningstar Ownership Zone provides detail about a portfolio's investment style by showing the range of stock sizes and styles. The Ownership Zone is derived by plotting each stock in the portfolio within the proprietary Morningstar Style Box. The shaded area represents the center 75% of the Fund's assets while the plot point in the middle represents the weighted average of its holdings. Over time, the shape and location of a fund's ownership zone may vary. View the complete list of holdings for this fund as of 03/31/19. Unaudited schedule of portfolio holdings is presented for informational purposes only. Royce & Associates has contractually agreed, without right of termination, to waive fees and/or reimburse expenses to the extent necessary to maintain the Service Class’s net annual operating expenses (excluding brokerage commissions, taxes, interest, litigation expenses, acquired fund fees and expenses, and other expenses not borne in the ordinary course of business) at or below 1.49% through April 30, 2019. Total annual Fund operating expenses may differ from the expense ratio in the Fund's Financial Highlights because they include only the Fund's direct operating expenses and do not include acquired fund fees and expenses, which reflect the estimated amount of the fees and expenses incurred indirectly by the Fund through its investments in mutual funds, hedge funds, private equity funds, and other investment companies. The Price-Earnings, or P/E, Ratio is calculated by dividing a company's share price by its trailing 12-month earnings-per-share (EPS). The Fund's P/E ratio calculation excludes companies with zero or negative earnings. The Price-to-Book, or P/B, Ratio is calculated by dividing a company's share price by its book value per share. Standard deviation is a statistical measure within which a fund's total returns have varied over time. The greater the standard deviation, the greater a fund's volatility. Frank Russell Company (“Russell”) is the source and owner of the trademarks, service marks and copyrights related to the Russell Indexes. Russell® is a trademark of Frank Russell Company. Neither Russell nor its licensors accept any liability for any errors or omissions in the Russell Indexes and/or Russell ratings or underlying data and no party may rely on any Russell Indexes and/or Russell ratings and/or underlying data contained in this communication. No further distribution of Russell Data is permitted without Russell’s express written consent. Russell does not promote, sponsor or endorse the content of this communication. Source: MSCI. MSCI makes no express or implied warranties or representations and shall have no liability whatsoever with respect to any MSCI data contained herein. The MSCI data may not be further redistributed or used as a basis for other indexes or any securities or financial products. This report is not approved, endorsed, reviewed or produced by MSCI. None of the MSCI data is intended to constitute investment advice or a recommendation to make (or refrain from making) any kind of investment decision and may not be relied on as such. The Russell 2000 is an unmanaged, capitalization-weighted index of domestic small-cap stocks. It measures the performance of the 2,000 smallest publicly traded U.S. companies in the Russell 3000 index. The Russell 2500 index represents the smallest 2,500 companies in the Russell 3000 index. The returns for the Russell 2500-Financial Sector represent those of the financial services companies within the Russell 2500 index. The performance of an index does not represent exactly any particular investment, as you cannot invest directly in an index.